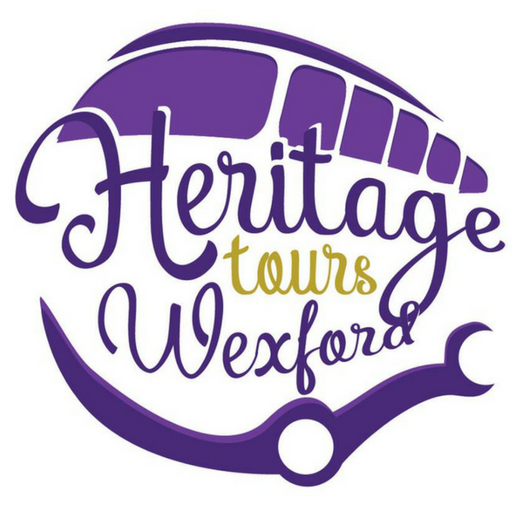 Heritage Tours Wexford will enable you or your group to experience all that Wexford and the Southeast have to offer. Whether you are on a day trip, or staying in the county for a few days, there is a tour to suit you. 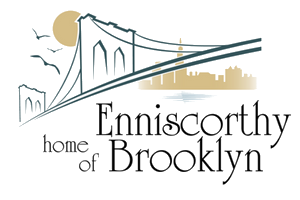 This is the only scheduled bus tour to the beautiful Hook Peninsula. 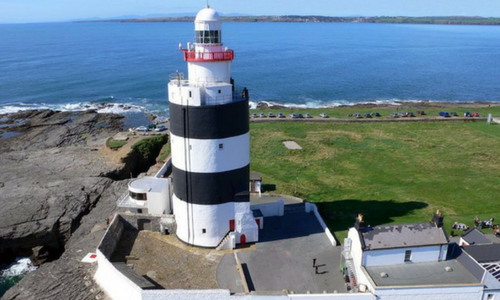 On this tour you will travel through the scenic south-east corner of Ireland to visit the famous Hook Lighthouse, Dunbrody Famine Ship and subject to opening times Loftus Hall or Tintern Abbey. You’ve seen the movie now visit the set! Visit the actual Enniscorthy streets and locations you saw in the movie. The Brooklyn bench, Curracloe Beach, St Aidan’s Cathedral, The Atheneum and Mrs Kelly’s shop are just a few of the places you'll visit on this tour. Hop on, sit back and take a trip through historic Enniscorthy in the comfort of our mini bus. 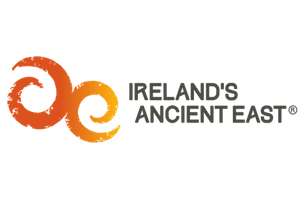 Founded in 510, it is one of the longest occupied sites in Ireland. 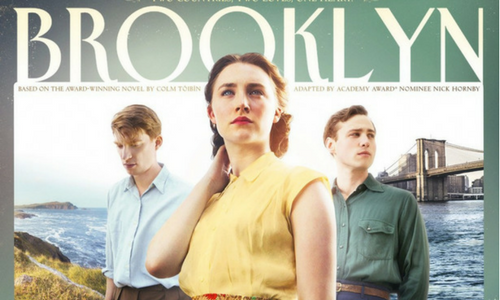 Your driver/guide will enthrall you with stories of battles and bravery and Brooklyn! 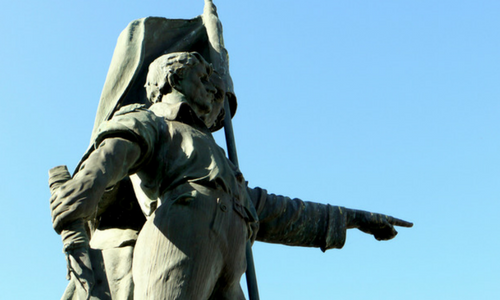 From the comfort of our minibus, with live commentary and audio from your driver/guide, this tour will transport you back to that fateful summer of 1798. 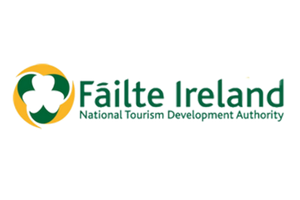 Your journey will take you to sites including Ferns, Boolavogue and Oulart Hill. Have you got about an hour? From Wexford to Waterford from Wicklow to Kilkenny, from gardens to castles from museums to lighthouses! 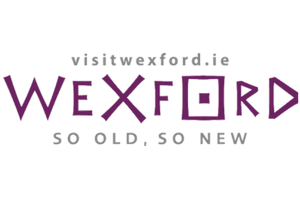 With such a choice of destinations about an hour from Wexford, you can create your own tour and we will make it happen. 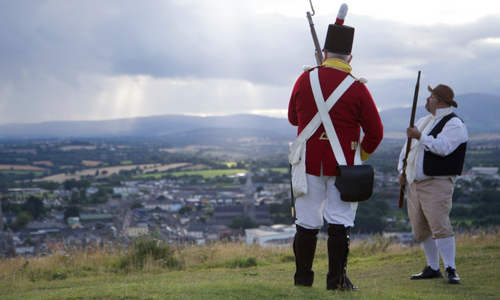 Wicklow is at the heart of Ireland’s Ancient East. 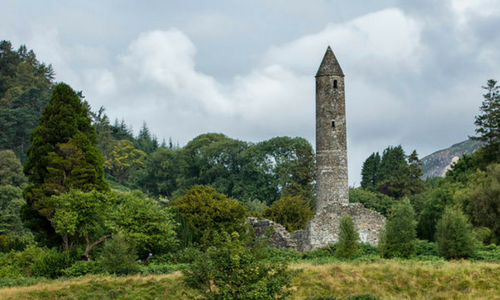 This tour will follow the footsteps of St Kevin, taking you to Glendalough’s 6th Century monastic site and Powerscourt House. Later, passing through The Sally Gap you can admire the rolling mountains and lakes. 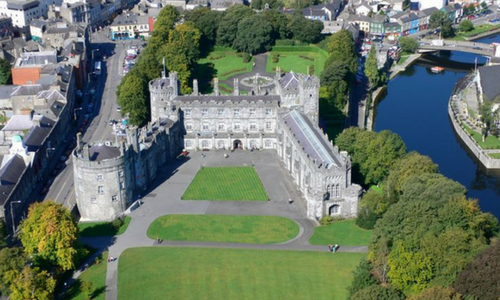 Kilkenny City is where heritage and history, crafts and architecture combine to create an all-pervading spirit of excellence. As the medieval capital, this city has flavours of both the ancient and modern day Ireland which are combined to make for a memorable day out. 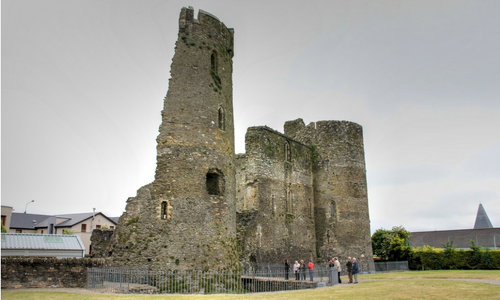 Waterford is Ireland’s oldest city, founded by Viking raiders in AD 914. 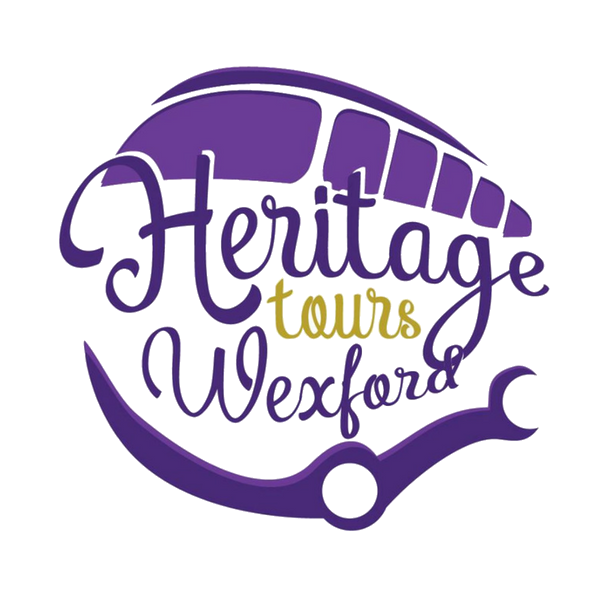 This tour includes a visit to the Dunbrody Famine Ship in New Ross and a factory tour of House of Waterford Crystal to see exactly how Waterford Crystal pieces are made. 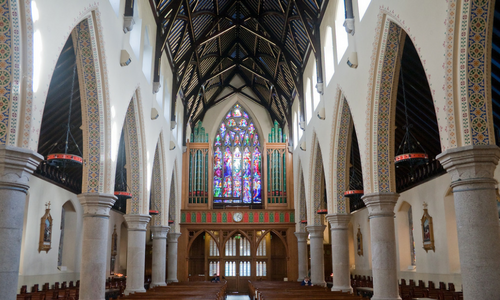 A self-taught architect, with no formal qualifications A.W.N Pugin re-shaped 19th century church architecture. His most famous work would be his contribution to Big Ben. 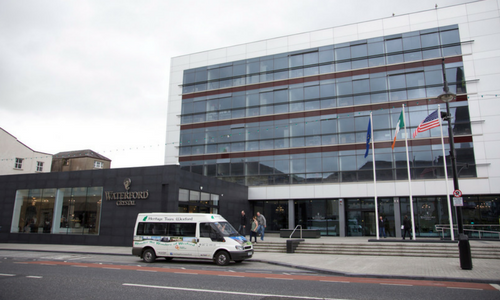 Wexford is home to 9 of his architectural gems. Why not join me on an exploration of them. I did the Dunbrody Famine Ship... Loftus Hall and Hook Lighthouse tour.... Very friendly service and you are put at easy straight away by a wonderful guide Cathy... I would highly recommend taking a trip to one of the many tours that are available as you will not be disappointed... Thank you for a really great day! "A Super Day, Great Banter and Craic"
Went on Tour with Cathy, end of July. We had a super day, great banter and Craic. A magical day on Vinegar Hill, a highlight, Marconi, Ronan, Needham and many more historical figures discussed as we toured. The high of the highlight I'm sure Cathy agrees was the rendition of Boolavogue on Vinegar Hill. family memories to treasure, forever. Thanks Cathy. "We Will Not Forget It"
We arrived home safely and bring with us many beautiful memories of our Ireland vacation. You are one of them. Thanks so much! We will not forget it! "Cathy went above and beyond"
This was just to let you know how impressed we were with our Enniscorthy guide Cathy Keane. She was helpful, extremely knowledgeable, professional, passionate and very entertaining - which is a must in any good guide! She also went above and beyond when keeping our kids excited about the trip, which was invaluable. Her input meant writing up my travel feature for the People was a breeze. When Mary met Cathy! Check out Cathy’s appearance on Nationwide, one of the most popular programmes on RTE, Irelands national TV station.